In Kharkiv, Metalist stadium hosted a match of the 5th round playoff stage of the Ukrainian Premier League between Shakhtar Donetsk and Dynamo Kyiv. Shakhtar: Pyatov, Ismaili, Rakitsky, Khocholava, Butko, Fred, Stepanenko, Patrick (Kovalenko, 83), Tyson, Marlos (Kayode, 83), Ferreira. 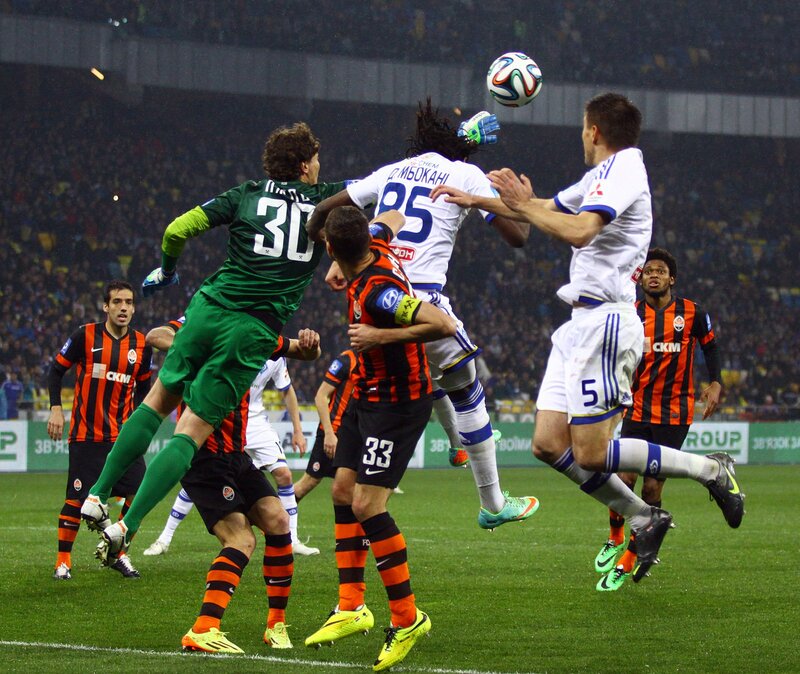 The match began from the moment of Dynamo - Kendzyora played by his head, but the ball hit the crossbar. After that, Dynamo was able to score a goal - Shepelev took advantage of the mistake of Khochalava. After that, Shakhtar played more at the gate of Boyko. But the defense of Kyiv coped with the attacks. And in those moments when the players of Shakhtar got the opportunity to attack, Boyko confidently played for Dynamo. We add that Shakhtar is now ahead of Dynamo by only three points. On May 19 the teams will meet again, but already in Kyiv.